Four Books To Help You Master Chicago Politics The term "Chicago politics" gets bandied about whenever people complain about what they see as corruption and abuse of power. But what does it actually mean? These four books examine the city's hardball approach to politics through various lenses. Richard J. Daley served as the mayor and Democratic Party boss of Chicago for more than two decades, from 1955 to 1976. His son, Richard M. Daley, served as mayor from 1989 to 2011. Click here for more on the Daley dynasty. The term "Chicago politics" gets bandied about whenever people complain about what they see as corruption and abuse of power. Republicans often apply the concept to President Obama, who calls Chicago home. Earlier this year, presidential candidate Mitt Romney called one of the president's appointments "Chicago-style politics at its worst," and Illinois Republican Aaron Schock once described Obama's team as "the Chicago machine apparatus." But what does that mean? And what are Chicago politics really like? NPR's Steve Inskeep takes a closer look with Ann Marie Lipinski, former editor of The Chicago Tribune; Frank James of NPR's It's All Politics blog, who spent years as a reporter in the city; and NPR's Scott Simon, former Chicago bureau chief for NPR. They discuss four influential books that examine the city's hardball approach to politics through various lenses. 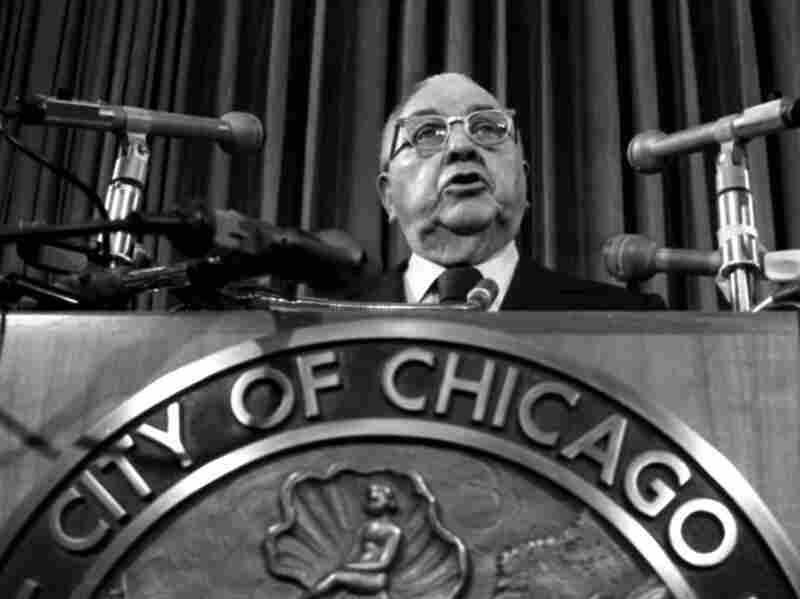 Any discussion of Chicago politics has to start with Richard J. Daley, who served as mayor and Democratic Party boss of Chicago for two decades, from the mid-1950s to the mid-'70s. He spearheaded a powerful political machine that was often accused of corruption. Simon says Royko's book shows how well-oiled the Daley machine was and how reliably it served Chicagoans. "It underscores the fact that when politics is effective, it delivers services to people," Simon explains. But however effective the Daley administration may have been, people took issue with his leadership style. "He basically ran the city the way a dictator would," says James. "If you crossed the mayor — or 'da mayor,' as I should say — he would basically cut your legs off. Not literally, I don't think, but politically, you would be sent to Nowheresville." In Boss, Royko follows Daley through a typical day, much of it spent "on five" — the fifth floor of City Hall. "It's there that you really see City Hall in Chicago as not just the epicenter of politics in Chicago, but in some ways of American urban politics at the time," Lipinski says. Unlike the many academics who focus on corruption, Rakove admired the Chicago Democratic organization. Simon points out: "The beauty of the ward system was that you had somebody who lived in your neighborhood whom you could go to and say something as modest as, 'Look, I really need my trash picked up,' which is not modest, if it begins to pile up." But Lipinski argues that this system failed to meet the needs of many Chicagoans. She recalls reporting from aldermen's offices on what were known as ward nights. "Every alderman had one," Lipinski says. "It was this parade of favor-askers, and if you were not somehow beloved or in the good graces of the alderman, you may or may not get your trash can changed that week." Many think the election in 1983 of Harold Washington, Chicago's first black mayor, was a direct result of this unequal system. Washington "very articulately captured" the notion that blacks were routinely ignored by the city's government, Lipinski says. And the "good government types" in the city's white precincts — the so-called goo-goos — were also angered by the corruption and inequality. Merriner's centuries-spanning study of the city makes corruption seem endemic to Chicago. Shady dealings are just part of the place, or as James puts it, "people were always on the make there ... doing whatever it took politically, or in business, or criminally — and sometimes those things all melded together — to make your fortune." Having started his career in Chicago, Obama has been linked time and again to the city's history of corruption by many Republicans. But Lipinski doesn't think the connection stands to scrutiny. "What do we mean when we say Chicago-style politics?" she asks. One definition seems to center on the kind of political patronage and control personified by Daley, she says. Another, more recent usage focuses on political bullying, more in the vein of Al Capone. Lipinski says that, given those archetypes of Chicago politics, "it's kind of hard to see where the president fits in that." Simon argues that the president does have close links to the Daley machine. "Sen. Obama always got along with the Daley organization and the Daley brothers," he says. 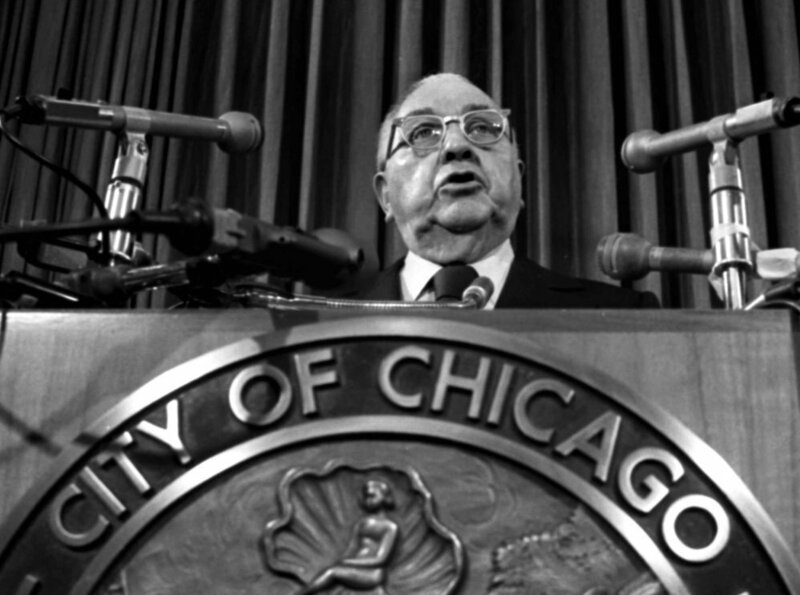 "The people who were closest to him politically, be they David Axelrod, be they Bill Daley, Rahm Emanuel ... they were members of what I'll call the Daley fraternity, if not necessarily the Daley organization." Of course, Chicago politics extend beyond back-room deals and election booths. The political system deeply affects the millions of people who call Chicago home. "If you were on the inside and you were seeking a job or a favor and you knew the right precinct captain or alderman, things were pretty good for you in the city of Chicago," says Lipinski. But Kotlowitz documents the "people for whom that was not the case." Kotlowitz's book tells the story of Lafeyette and Pharoah, two brothers growing up in the Henry Horner Homes public housing project. Through their experience, readers see the results of failing schools, segregated neighborhoods and a police department that serves only some groups. "It's this very human and compelling side of that story — of Chicago politics, which often gets treated as bloodsport in Chicago," says Lipinski. "We like our Cubs, we like our Bears, we like our Sox, we like our politics."